Make object stick to another? I’d like to put some objects on a cylinder and want them to stay on that part of the mesh when I afterwards adjust the cylinder oder put him in another shape like an oval. Is there a possibility to do this? One way to do it is with a vertex parent. I did this with a test scene in 2.8. I had a smaller cube and a bigger cube. I turned on snapping and selected face. I then used the projection blender viewport to place the smaller cube on the bigger one. After this I first selected the child object, the smaller one, then selected the parent object, the bigger cube. Ctrl+P and selected object. I now can move them around by moving the bigger cube. Edit: The objects can later be joined together, to create one single mesh. 3 Shrinkwrap or adjust the carrier from step 1 to a character, so the plates from part 2 move closer to the character and make it look like an armor. Is this possible or should I go with hand made modeling ? This is a bit complex for Blender’s rigging tools, and maybe even for its generative modeling tools. Actually, it depends a lot on the actual shape you’re going to use, and the number of “plates”, so to say. It might be worth creating an armature and use a bone cage to deform the thing and move the plates along (in the case you don’t have a thousand plates), or it might be better to just use a hair particle system and scatter the plates on every face (or use duplifaces, which is similar in effect) but this solution does not give you much control over their orientation compared to the armature one. If you’re not absolutely determined to have the plates follow the surface but not deform, ie follow “rigidly”, you can use a surface deform modifier (used to bind a complex mesh to a simple surface). Hadriscus made some good suggestions. I had an additional idea. 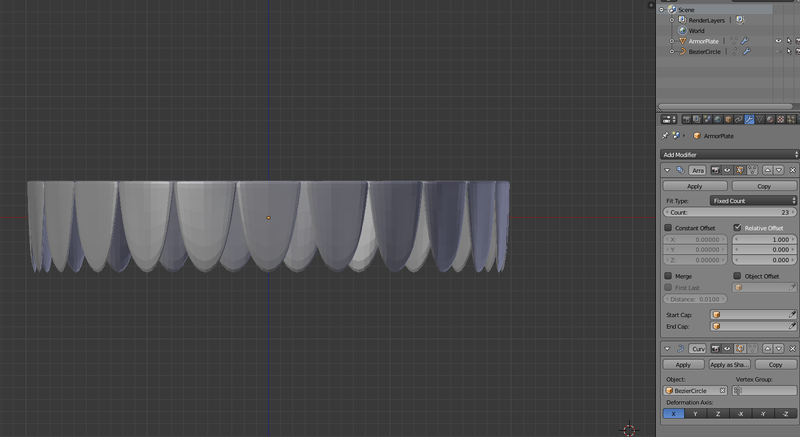 I think I’ll make a video about it some time today but the concept is this: start off with a plate, make an array of plates horizontally, now put it to a curve. Shrink wrap the curve itself to an armor plate. Do an array of the curves itself downwards to be overlapping (should work fine depending on the initial orientation of the armor plate). Now if you fit the plates to the width of the curve you can adjust the curve to fit on some sort of oblong shape, so the plates don’t extend past the surface they’re wrapped to. Edit: This method is probably going to work better with the extra step of using flat faces as the original thing that is put to the array, and duplifacing the plates onto those, because then I can shrink wrap the face without flattening the plates. Yeah it worked ok. 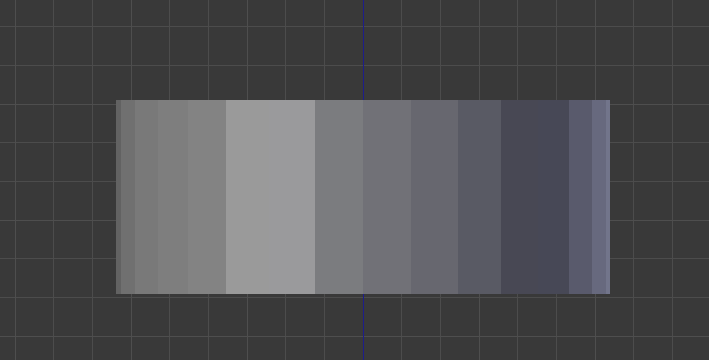 I need to experiment more to see which method of extending it down vertically works better. I’d like to pursue your guidance, but I stumble at the half of it. and the next step is where I stumble! 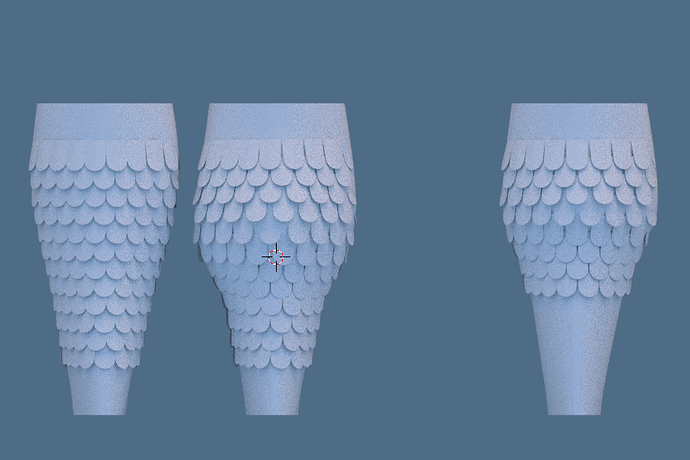 I added a Shrinkwrap - modifier to that curve that targeted the ArmorPlate- object. When I now add an Array - modifier to the curve object, nothing really happens. I made the settings for the array to go down and the curve gets multiplied but it has no armor plates on it. Furthermore, when I shrinkwrap the curve to another object, the armor plates stay in place and don’t move to the other object. Where am I doing things wrong? Thanks to all of you guys for your help! I was actually about to livestream the whole process on my channel in a minute. I’ll link you when it’s done. Should be up with a .blend file in less than an hour. Can you give a link to your chanel? Here’s the actual live stream, available for playback. You said you choose armor plate as the target. The target should be the one the curve fixes too. The armor plate is duplifaced off of the flat plane (because it is parented to the plane). The plane in its modifier stack, first has an array fit to curve length, is then wrapped to a curve going around the surface (the curve is shrinkwrapped in its modifier stack), and the flat face is then itself shrinkwrapped to the object as a last step. great news! I did as @Util_IT tells in his video and I pretty much got the result that I was heading for !!! A big THANK YOU @Util_IT for that video and thanks to everyone in this thread, I am very happy about your help! 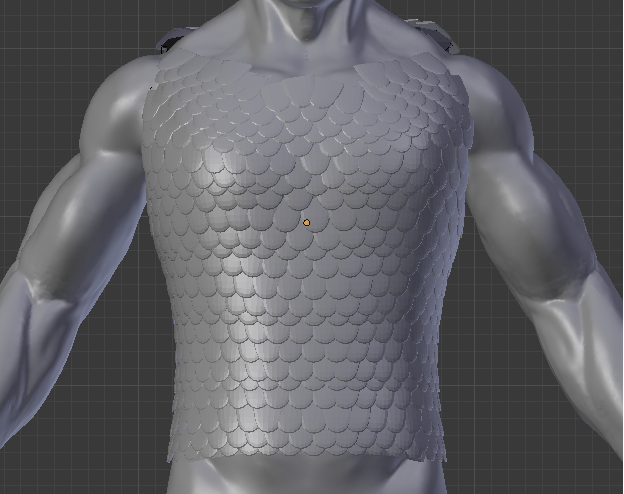 It’s not a finished armor yet, but the parts with the scales worked pretty great, I think it’s good to recognize in this screenshot how they wrap around that body mesh. I had to do some pesty clean up but that was way better than placing all of these scales by hand. As a side note I think the rest of your character looks quite good as well. If you sculpted that, good work. You might want to do some sort of strap at the top of the chest near the collar bone which hides the “seam” at the top couple rows. Up to you. Again, good work. Last thing I would throw in is that if you’re trying to use this as a game model you’ll want the scales to be as optimized as possible, probably avoiding subsurf.